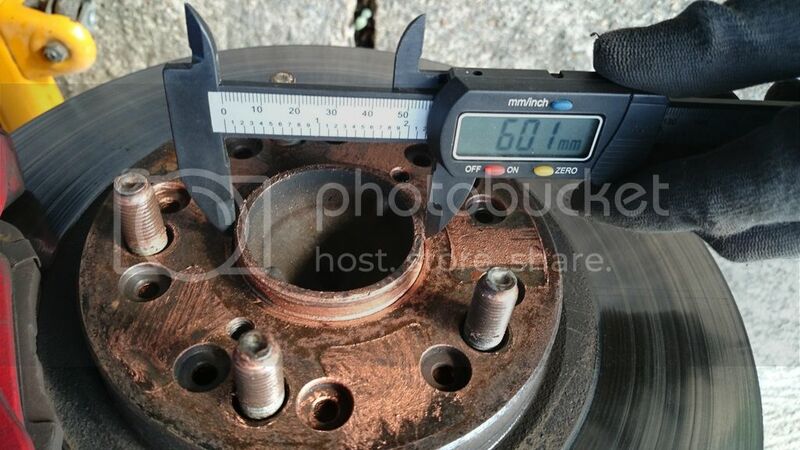 I got the RX8 wheels off ebay and despite all the info online saying that the centre bore should be 67.1mm, the wheels I have measure 71.6mm ID on the centre bore. 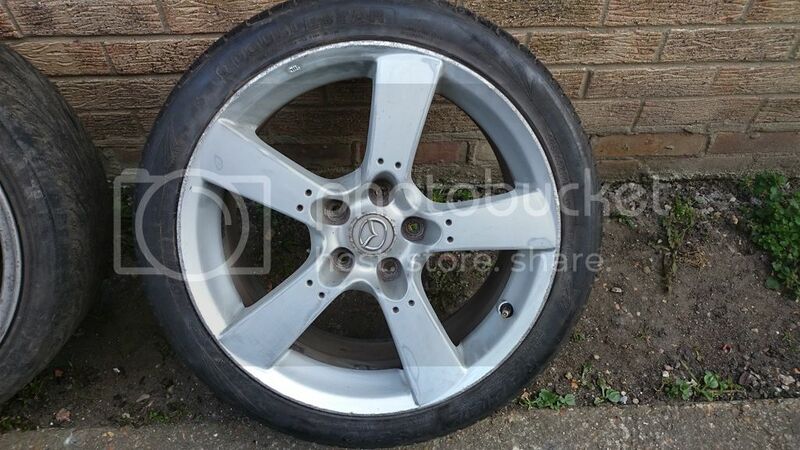 I don't know if these wheels were different for some reason from Mazda or if they are copies or if they have been bored out bigger to fit something else in the past etc. 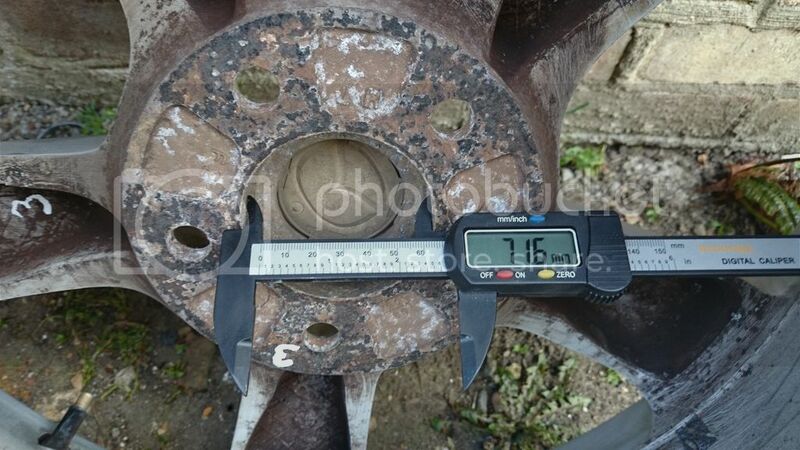 The fact is that they are 71.6mm ID and the centre bore is straight sided NOT chamfered in any way. So I went on ebay and asked a few companies selling spigot rings (just to check) and then bought some which were labelled up as 71.6mm OD and 60.1mm ID (they are hard plastic ones). They turned up and sure enough they are stamped with the correct sizes on them. 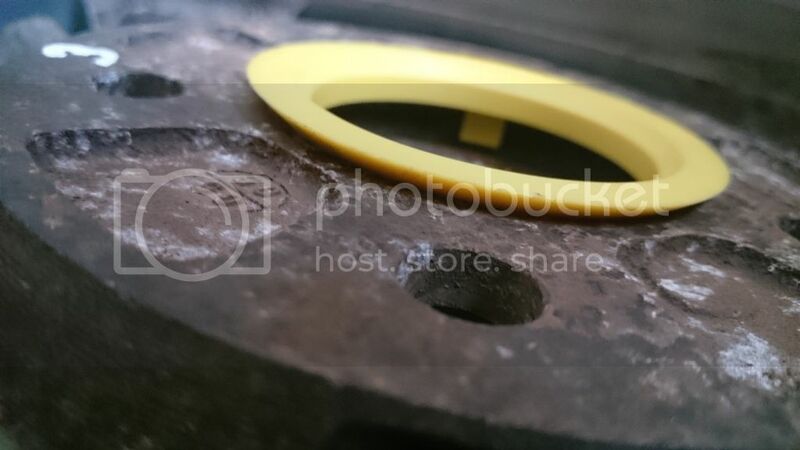 My main issue is that although the main part of the ring is the correct sizes and they fit snuggly into my wheels, they also have a chamfered section further up the rings which goes from the 76.1mm OD to about 82mm diameter overall. this chamfered section is about 5mm deep. So because my centre bore is straight sided, the rings fit inperfectly until they get to the chamfered section which is too big to fit in! 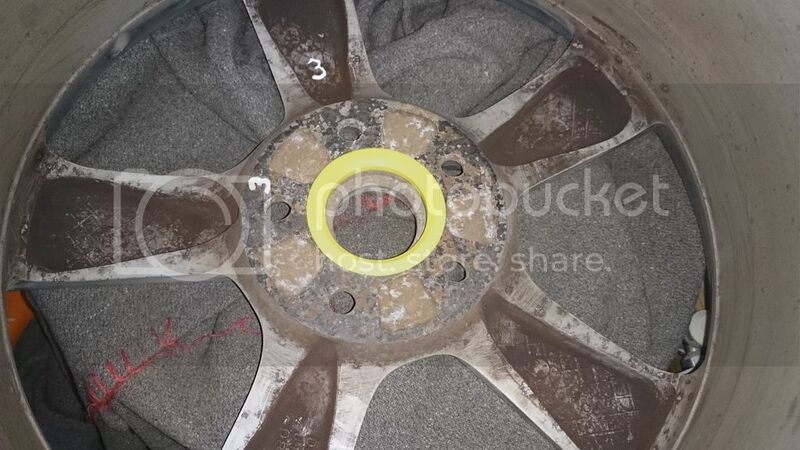 This means that they don't sit flush to the inner face of the wheel where they will bolt up to the hubs! I very much doubt that it will squash up that 5mm bit! So either i need different rings with no chamfer or I need to somehow shave/turn the chamfered section off of all the rings! Can anyone advise me of what I need or if I'm being stupid or have got the wrong rings etc please? Re: Spigot Rings for Wheels? Really?! Ive only been able to find the chamfered ones! Have you got a photo or a ebay number for the ones you got please? Mine look like these ones, the chamfer is real small. Hmmmm that's interesting - cheers mate.